The RAASA offices at Rand Airport, Germiston will be closed from 23 December 2016 at 12h00 for the festive season and will re-open on 3 January 2017. To renew your licence or ATF before this closure please submit your license and / or authority to fly renewal application before 21 December 2016 and for postal applications before 19 December 2016. All applications for events and Parachute Display requests must reach the RAASA office on or before 10 December 2016. 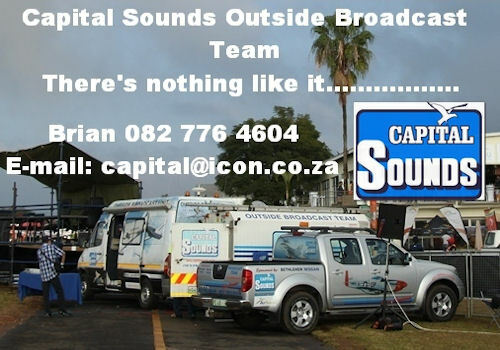 For any enquiries, please phone the office on 011 082 1000. The U.S. Navy Blue Angels, one of the world's premier military jet teams, has included EAA AirVenture Oshkosh as part of its initial 2017 performance schedule. The 65th annual EAA fly-in convention is July 24-30 at Wittman Regional Airport in Oshkosh, Wisconsin. The announcement was made at the annual International Council of Air Shows (ICAS) convention in Las Vegas. The Blue Angels' initial schedule at Oshkosh includes flying on the event's final weekend. The exact activities and schedule are still being finalized, as EAA will continue working on essential operation issues involved in the appearance. It would mark the first time the Blue Angels would perform its full show in front of Oshkosh audiences. "We're excited to be included on the Blue Angels 2017 schedule as a first step toward their inaugural performance at Oshkosh, and their team has indicated their excitement at coming to AirVenture," said Rick Larsen, EAA's vice president of communities and member programs who coordinates features and attractions at AirVenture. "Oshkosh has attracted an unmatched line-up of incredible aircraft and personalities over the past six decades, and the Blue Angels add to that legendary roster." The Blue Angels were formed in 1946 and include aviators from the U.S. Navy and Marine Corps. Based at Pensacola Naval Air Station in Florida, the Blues typically perform before an estimated 11 million people each year in their McDonnell Douglas F/A-18 fighter jets. EAA's air show planning team is at the ICAS convention this week to begin building the air show performer roster for AirVenture 2017. Along with long-standing favorites, the EAA team is always seeking exciting new acts to include on the schedule that usually includes more than 50 performers. EAA photographers captured the best moments of EAA AirVenture Oshkosh 2016. Relive some of it with us as we get dream about #OSH17. 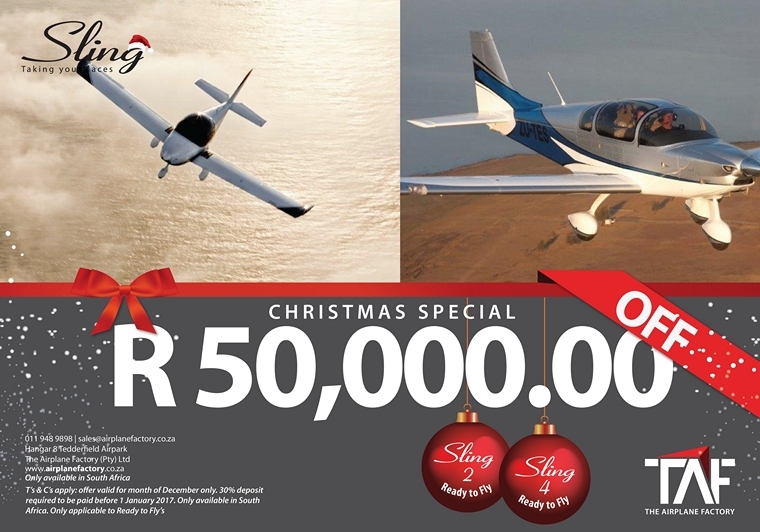 Share The Spirit of Aviation® this holiday season with tickets to the World's Greatest Aviation Celebration. Raphael Domjan's stratospheric solar plane was unveiled in Payerne, Switzerland, to 300 guests, including ambassadors, partners, government representatives and the world's media. The unique 8.5-metre-long aircraft has a wingspan of 24.8 metres, weighs 450 kilogrammes and is covered with 22m2 of solar panels. It will be the first manned solar-powered aeroplane to penetrate the stratosphere. "This is a great day for the SolarStratos team," said Raphael Domjan, creator of PlanetSolar, the first solar-powered boat to do a circumnavigation in 2012 and the initiator and pilot of the SolarStratos project. "Our goal is to demonstrate that current technology offers us the possibility to achieve above and beyond what fossil fuels offer. Electric and solar vehicles are amongst the major challenges of the 21st century. Our aircraft can fly at an altitude of 25,000 metres and this opens the door to the possibility of electric and solar commercial aviation, close to space." Reaching the stratosphere over the past century has required large quantities of energy or helium. Today, the SolarStratos aircraft offers clean solar and electric aviation for the equivalent environmental footprint of an electric car. "We are extremely pleased with the positive feedback and encouragement that we have received," said Roland Loos, CEO of SolarXplorers S.A., the organisation in charge of the development and future applications of this endeavour. "Our project brings hope and makes both children and adults dream. It also opens the door to new scientific knowledge - at an affordable price, exploration and the peaceful use of our stratosphere." The three-day Middle East and North Africa Business Aviation Association (MEBAA) Show 2016 opened on Tuesday in Dubai, UAE, against a backdrop of continued global uncertainty about when robust economic growth will return. 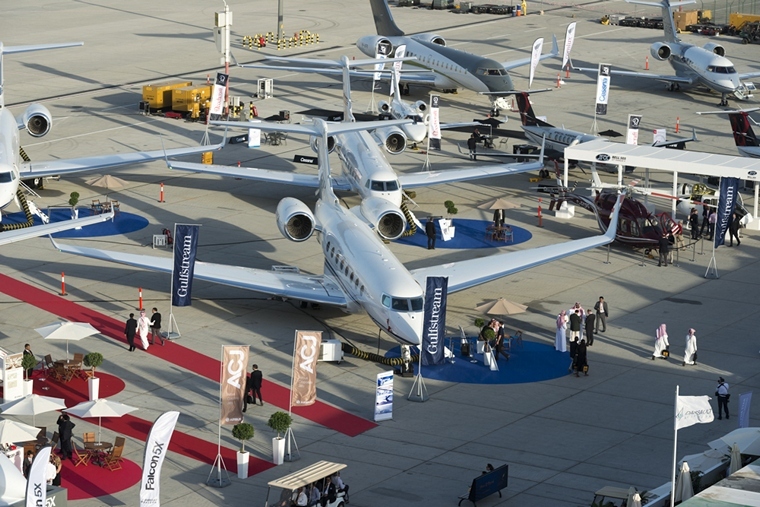 The seventh biennial took place at the airshow site at the new Al Maktoum International Airport (aka "Dubai South" at Dubai World Central, inland from the port of Jebel Ali), where business aviation is gradually relocating from the increasingly congested Dubai International Airport. 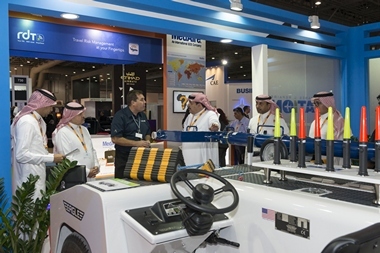 While business aviation's so-called emerging international markets may have disappointed the industry over the last year or so, the Middle East and North Africa continues to be a glass half full, according to representatives of the region's bizav community who have made the long trip to Orlando for this week's NBAA convention. "The Middle East and North African market is developing well despite everything that is going on there in terms of [political] uprisings and destabilization," said Ali Alnaqbi, founding chairman of the Middle East and North Africa Business Aviation Association (MEBAA). For now, the bulk of business aviation activity is concentrated in Saudi Arabia and the United Arab Emirates (UAE), which, respectively, currently account for around 35 percent and 26 percent of the Middle East business aircraft fleet, according to MEBAA. But Alnaqbi was quick to point out that growth is happening in other countries too; notably Morocco and Jordan are also expanding. "A year ago in Morocco they had almost nothing, just two AOCs [air operator certificates] and a single FBO, with business aviation generally pushed to the side," Alnaqbi told AIN. 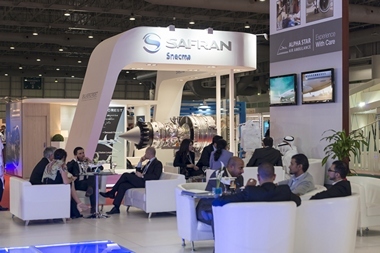 The Dubai-based association believes that its MEBAA Show Morocco has been instrumental in raising the profile of business aviation in the North African country. The next event is to be staged in Marrakesh in September 2017. Beechcraft Corporation, a subsidiary of Textron Aviation Inc., a Textron Inc. (NYSE:TXT) company, today announced at the Middle East and North Africa Business Aviation Association (MEBAA) conference in Dubai that the company is now offering Pratt and Whitney Canada PT6A-67A engines for improved performance on its King Air 350HW and King Air 350ER turboprops. In addition, the company is offering an increased gross weight option for these platforms, increasing the maximum takeoff weight to 17,500 pounds. Both enhancements are now FAA and EASA certified and offered as factory options for new aircraft or as aftermarket modifications. "The King Air 350 platform is renowned as a worldwide mission enabler and these optional enhancements will offer customers added performance and payload for special mission operations," said Bob Gibbs, vice president of Special Mission Aircraft. "We have successfully modified a fleet of NATO air force-operated King Air 350ER aircraft with these upgrades, and we are excited to offer these options to provide more value to our special mission customers." Gulfstream Aerospace Corp. is pleased to display three of its business jets at the Middle East and North Africa Business Aviation Association (MEBAA) Show Dec. 6-8 in Dubai. The static display will include the company flagship Gulfstream G650ER as well as the high-performing Gulfstream G550 and the class-leading Gulfstream G280. The four-living-area G650ER will headline Gulfstream's presence, showcasing the company's commitment to exceeding customers' expectations for customization, comfort and craftsmanship. Customers will have the opportunity to see the three Gulfstream aircraft firsthand and discuss Gulfstream's advances in innovation, reliability, safety and performance. The aircraft will be available for viewing outside Chalet A13-14 at Dubai World Central. 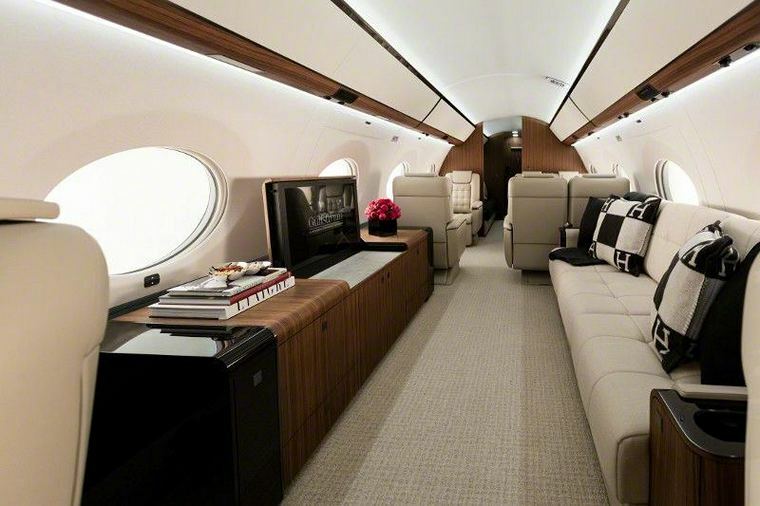 In addition to the aircraft on display, Gulfstream will have a reception area for customers. "We are looking forward to a productive show in an important region," said Mark Burns, president, Gulfstream. "Gulfstream aircraft deliveries to the Middle East began in 1976. Forty years later, we have more than 120 aircraft based in the Middle East and North Africa. With this growth, we continue to invest in Product Support capabilities throughout the region, including expanding our parts and materials inventory at Dubai World Central." Select members of the company's leadership team will be on hand for the three-day air show as will Trevor Esling, regional senior vice president, International Sales for Europe, the Middle East and Africa, and Allan Stanton, regional vice president, International Sales, Middle East. The NH90 Sea Lion naval multi-role helicopter took off on its on-schedule maiden flight at Airbus Helicopters in Donauwörth. "We are proud to be delivering this state-of-the-art naval helicopter to the German Armed Forces on time," said Wolfgang Schoder. "This new generation of NH90 naval helicopters, the Sea Lion, has benefited from experience gathered by other countries who have been using it." The NH90 Sea Lion has an increased number of sensors and improved navigation and communications equipment, which means that this military helicopter will also be able to operate in civil air space. The military friend/foe identification has also been updated to the latest standards. Thanks to its multi-role capability and future proofing, the Sea Lion will not merely replace the Bundeswehr's Sea King Mk41 fleet but significantly enhance the Navy's operational capabilities. The electronic fly-by-wire flight controls of the NH90 Sea Lion reduce the crew's workload. Other benefits of this control system are its high precision and ease of use, which particularly come to the fore in over-water hovering, even in poor weather conditions. Bell Helicopter, a Textron Inc. (NYSE: TXT) company announced the signing of a Memorandum of Understanding with IAR - Ghimbav Brasov Group, a leading company in the Romanian defence and aerospace industry. "Bell Helicopter is a strong global partner and we are pleased to have this opportunity," said Ion Dumitrescu, general director of IAR - Ghimbav Brasov. "We look forward to exploring different avenues of cooperation on one of the most capable platforms in the world." IAR - Ghimbav Brasov specializes in aeronautical structures and electrical work, with a special emphasis on MRO capabilities for helicopters. The company has been in operation for more than eight decades and is well positioned to provide support for the AH-1Z "Viper" attack helicopter should it be purchased by the Romanian government. "We are excited about potential collaboration with a company as well regarded as IAR - Ghimbav Brasov. Their talented engineers and specialists make them a leader in the Romanian defense industry," said Lisa Atherton, Bell Helicopter executive vice president of Military Business. "The potential for the AH-1Z Viper in Romania is exciting, and the AH-1Z should be a very strong candidate in addressing the Romanian government's need for an advanced, reliable platform for security and defense." NATO guidelines published in 2015 encourage member nations to dedicate 2% of their gross domestic product (GDP) for defense spending. The goal is to modernize equipment and enhance capabilities in order to more effectively contribute to national and regional defense. Many governments in Eastern Europe are increasing defense spending to better support the goal of defensive strength and deterrence in response to increasing regional threats. The government of Romania continues to commit funding and resources to help meet the NATO threshold, and expect to exceed their current 1.7% defense spending level in the coming years. 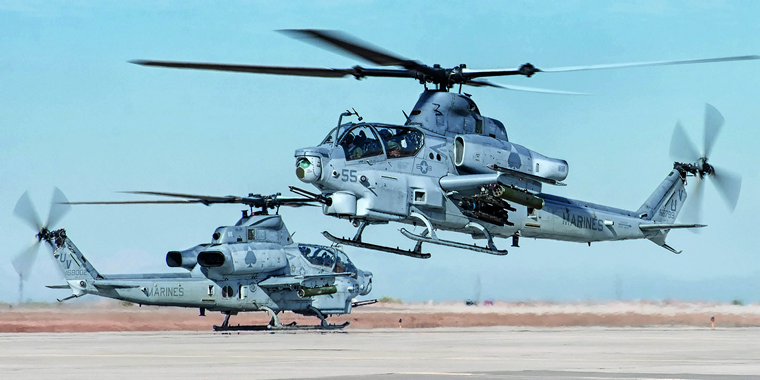 The AH-1Z Viper is the most advanced anti-tank attack helicopter in production. It is designed in partnership with the United States Marine Corps and carries the widest range of precision weapons and most advanced sensors available. The Viper has a combat radius greater than 240km when carrying 16 Hellfire missiles, 2 AIM-9's, and 650 20mm rounds. The Viper offers more capability than other available attack platforms with lower acquisition, maintenance and life-cycle costs. USA, Georgia: A Swearingen Metro cargo plane, operating Key Lime Air flight en-route from Panama City crashed near Whitesburg, Georgia, USA. The pilot, the sole occupant, was killed. Russia, Moscow: An Su-33 Flanker returning from a combat mission plunged into the Mediterranean as it tried to land on the Kuznetsov. The accident occurred when an arresting cable on the aircraft carrier snapped during the landing, the ministry said in a statement. The pilot ejected and was saved by a search-and-rescue team, the statement added. He was not injured. The second crash of a Russian warplane off the coast of Syria in less than a month intensified scrutiny Monday of a critical weakness in Moscow's show of naval force in the Mediterranean and the 1,000-foot hulk leading it. Last month, a Russian MiG-29K fighter jet crashed while attempting an emergency landing on the aircraft carrier shortly after take-off. Pakistan, Christal: A Pakistan International Airlines ATR 42-500 with 47 on board crashed in the hillside village of Gug when one of its engines failed shortly after take-off. There were no survivors. On Friday, 16 December 1960, a United Airlines Douglas DC-8-11, bound for Idlewild Airport in New York City (now John F. Kennedy International Airport), collided with a TWA Lockheed L-1049 Super Constellation descending into the city's LaGuardia Airport. One plane crashed on Staten Island, the other into Park Slope, Brooklyn, killing all 128 people on both aircraft and six people on the ground. At the time the death toll was the highest for a commercial aviation accident, and remained so until 1968. United Airlines Flight 826, was a DC-8 carrying 84 people en-route from O'Hare International Airport in Chicago to Idlewild Airport New York. The DC-8 was fitted with a "Blackbox" flight recorder and for the first time in the history of aviation accident investigation recorded data that led up to the accident was available to investigators. Trans World Airlines Flight 266, was a Super Constellation carrying 44 people en-route from Dayton and Columbus, Ohio, to LaGuardia Airport. The prevailing conditions on that fateful day were light rain and fog which had been preceded by snowfall. According to information from the United DC-8's flight data recorder at 10:21 A.M. Eastern Time, the United DC-8 advised its company radio operator that one of its VOR receivers had stopped working making it harder to navigate in instrument conditions. Air-traffic controllers thought were not notified of the problem. Four minutes later air traffic control issued a revised clearance for the flight to shorten its course to the Preston holding point by 12 miles (19 km). 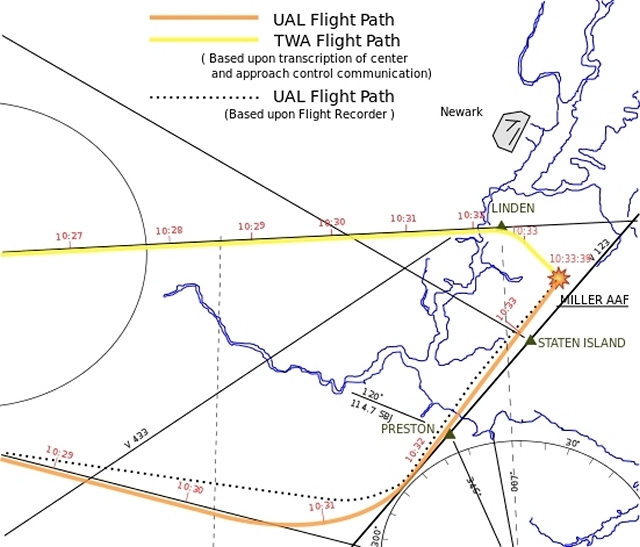 The United aircraft was supposed to circle the holding point at an altitude of 5,000 ft (1,500 m) at no more than 240 mph (210 kn; 390 km/h), but overshot. The United DC-8 was 12 miles (19 km) off course and had descended at 3,600 feet per minute (18 m/s) when it collided with the TWA Constellation, the right engine of the DC-8 impacting just ahead of the Constellation's wings. The Constellation's fuselage was torn apart violently and the DC-8's colliding engine was torn from its pylon. The Constellation entered a dive, with debris being blasted out of the aircraft as it spiralled to the ground and crashed onto the northwest corner of Miller Field. Some sections of the aircraft landed in New York Harbour. As it spiralled down, it disintegrated and dropped at least one passenger into a tree. The DC-8, losing one engine and a large part of the right wing, managed to remain in flight for another minute and a half before crashing at the intersection of Seventh Avenue and Sterling Place in Brooklyn. Scattering wreckage it set fire to ten apartment buildings, a Church, Funeral Home, Chinese laundry and a delicatessen. Six people on the ground were killed. The only survivor of the tragedy was 11-year-old Stephen Lambert Baltz, a passenger on the United flight. Baltz was traveling unaccompanied to meet his mother and sister, who had flown to New York the day before. He was thrown clear and found alive but badly burned in snowdrift.